I will climb my watchtower now, and wait to see what answer God will give to my complaint. Habakkuk is a little-known prophet of Judah, with only three chapters in his book in the Bible. He is different from the other prophets in that he seems to speak for man to God. Most other prophets of the Old Testament served to speak to man for God! As Habakkuk brought his questions to God, we find that God was not offended by his questions. Rather, God was very open to answer Habakkuk’s inquiries. You and I have questions for God at times. We want to present them to God and get an answer. The Bible is not saying that God is obligated to answer all our questions, but He does choose to answer sometimes. 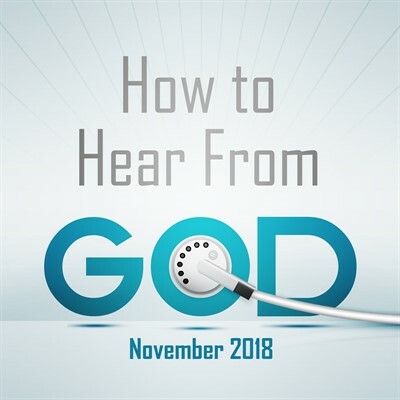 Our question of the month is: How do we hear from God? In other words, how do we get answers to our questions? Habakkuk, chapter two, gives us seven steps that will be involved in hearing from God. We’ll look at each one in this week’s devotionals. Father, I long to hear you speak! I will develop a place that I can go and be quiet before you! In Jesus’ Name, amen.